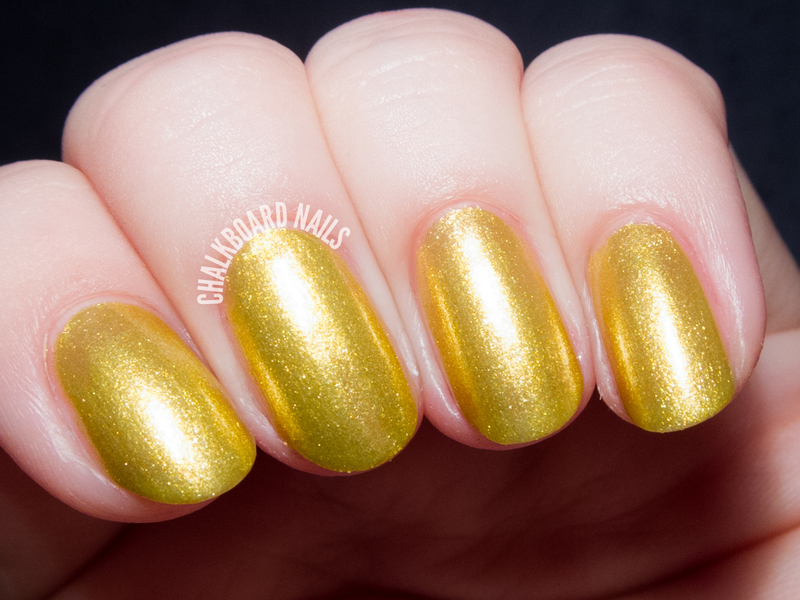 Big Spender is a yellow gold metallic foil. I used three coats for the coverage you see here. Unfortunately, I don't think this shade is very flattering, but others may enjoy this kind of vibrant gold. 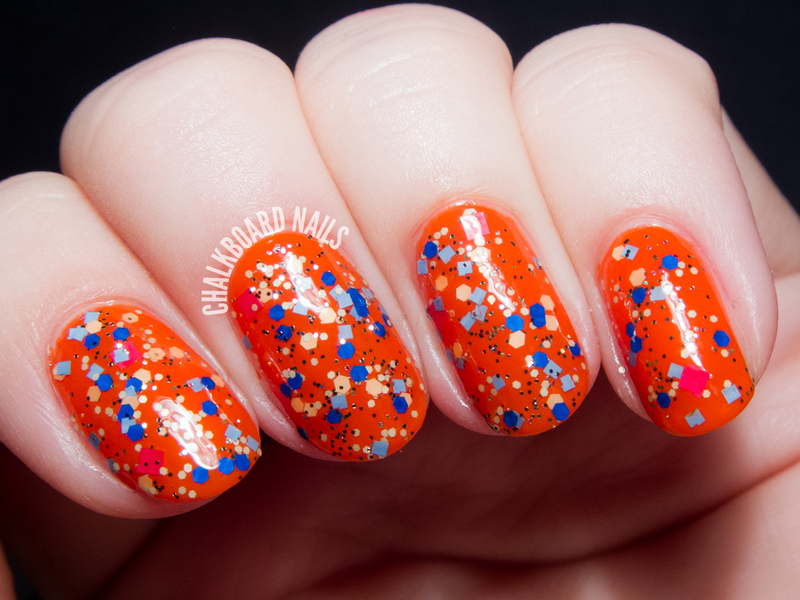 It's My Party is a blue, peach, gold, and red glitter topper in a clear base. The mix of colors is so cute! I chose to layer one coat over Deborah Lippmann Don't Stop Believin' (not included in the set) to show the glitter more clearly. I want to try this one layered over black. 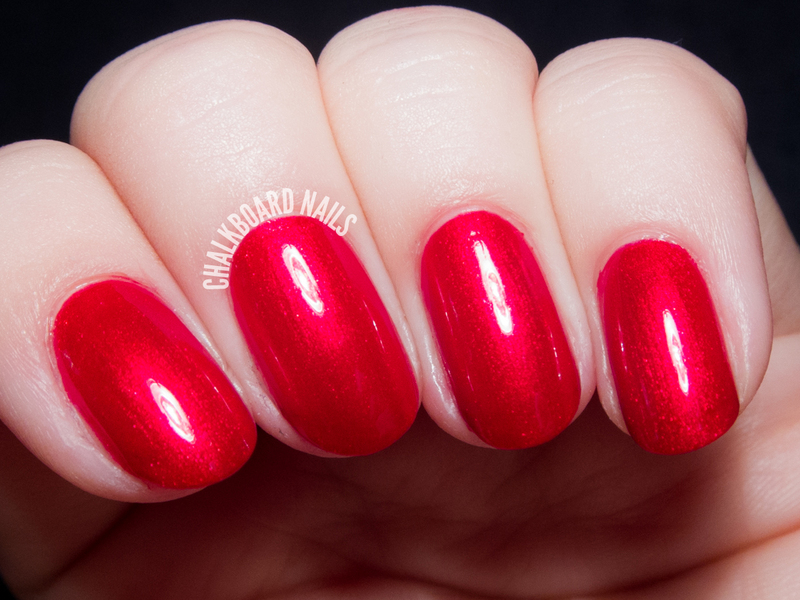 New York State of Mind is a glowy cherry red shimmer. People that aren't normally into reds may be swayed by this beauty. It covered perfectly at two coats. Totally gorgeous. This set retails for $29 and includes three mini lacquers (.27 oz). Lippmann mini bottles are my favorite -- they are just like her full size square, heavy bottom bottles, except cuter! It's not an inexpensive brand, but the mini sets are a great way to dip your toes in if you've been curious about Deb's polishes. 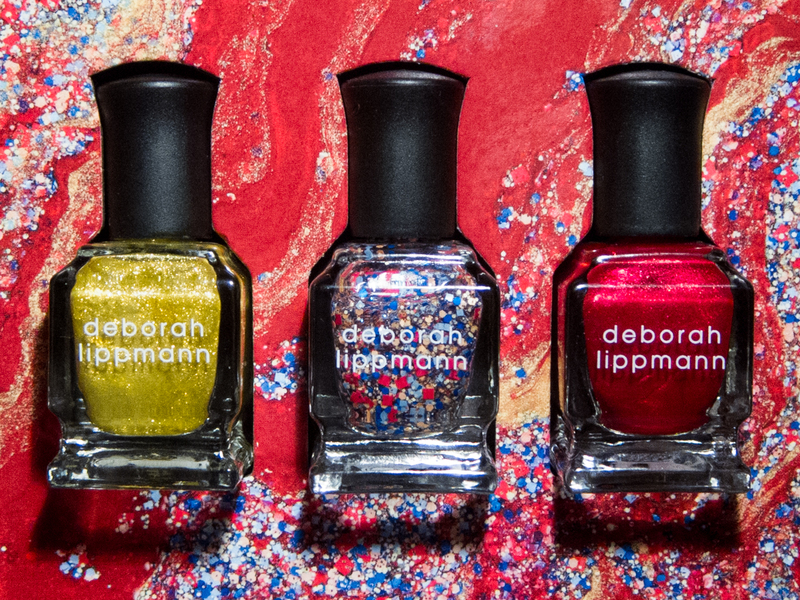 The Celebration trio is available now from retailers like Nordstrom and Bloomingdales and is also available from DeborahLippmann.com. I was just thinking yesterday how I haven't seen anyone swatching any Deborah Lippmanns in AGES. Your swatches are lovely - I think those polishes look a bit ordinary though to be honest, not the really unusual things I used to see them doing. You should check out Weird Science from the holiday collection - it's crazy gorgeous and kind of strange. Really like that glitter. Fun trio this is. Beautiful, beautiful colors. I love them all! 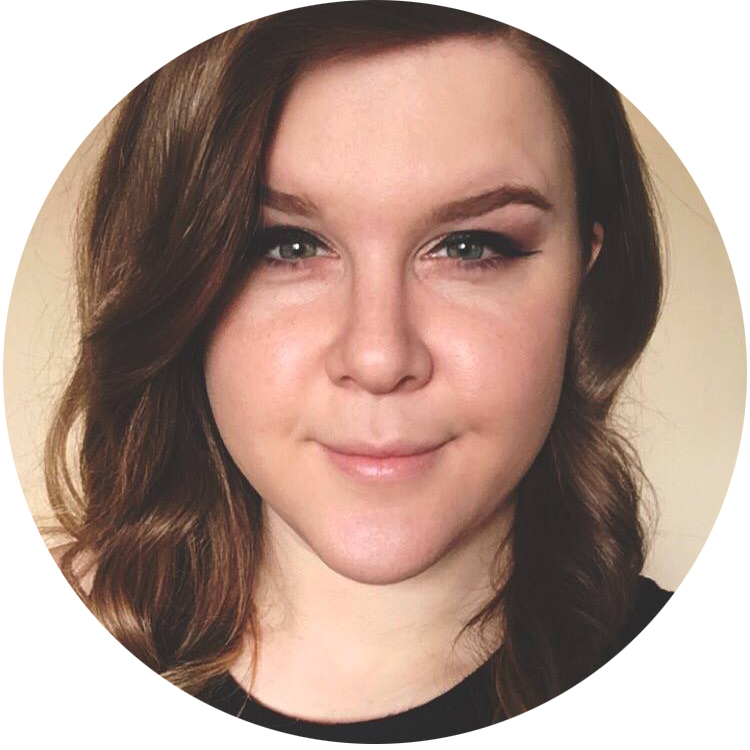 The base you chose for the glitter is so happy and fun!